My granddaughters love doing nothing better than painting each others nails. They can spend hours amusing themselves. And of course every nail is different. They have ten tiny canvasses on which to work, and they treat each one as a masterpiece. And of course a girl needs her lipstick! 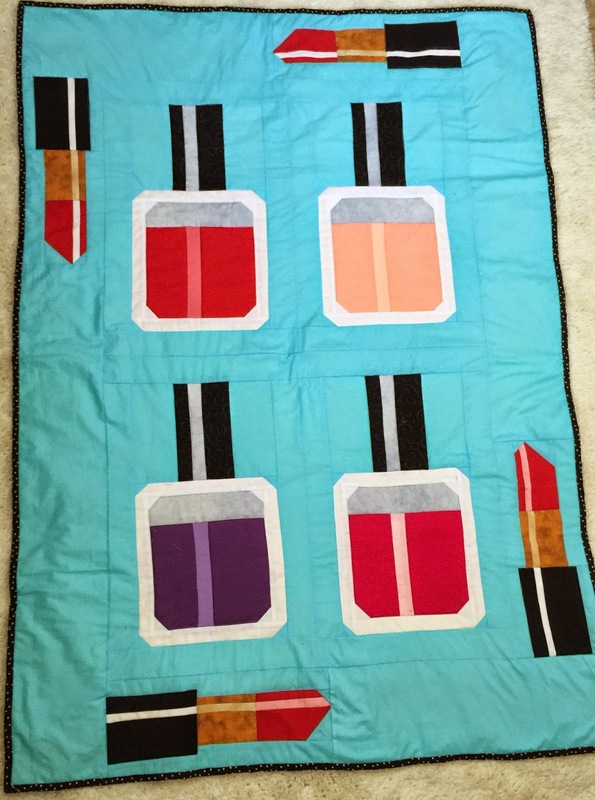 I used graph paper to design a quick lipstick block that would fit on the border. I purposely did not put them in the corners because I didn't want the binding to detract from the block. For the backing I found the perfect fabric for young ladies -- Mademoiselle by Alexander Henry. I love this fabric! It is full of images depicting teenage life (my favorite is the shoes). It has a sort of vintage feel to it. I think the backing is as cute as the front. 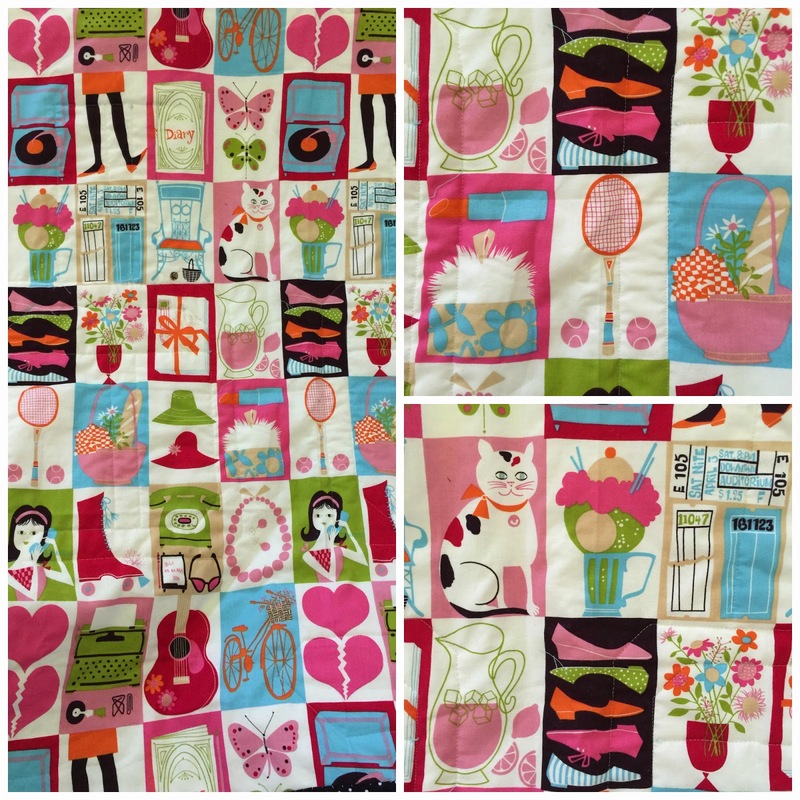 This was really a quick quilt to make, which is a good thing since I have to make two. One down, one to go.